A Singapore court charged a citizen and a North Korean man with supplying prohibited luxury items to North Korea, the Straits Times newspaper said on Thursday, the latest example of sanctions breaches in the city state. Chong Hock Yen, 58, and the North Korean Li Hyin, 30, were charged for infringing U. N. sanctions regulations that bar the supply, directly or indirectly, of any export or luxury item to any person in North Korea. It was unclear if the cases, spanning the period from late 2010 to early 2017, were related. The office of Singapore’s attorney-general declined to provide details of the charges. Singapore police did not immediately respond to a request for comment. 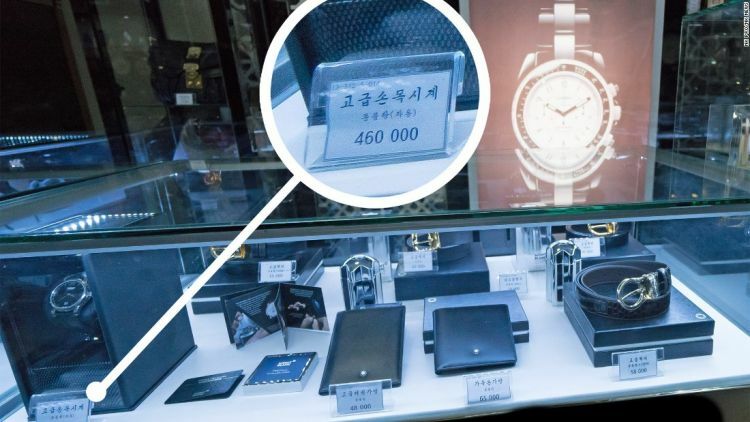 The move came after a Singaporean company official, Ng Kheng Wah, was charged for supplying luxury goods to North Korea in violation of U.N. sanctions in July. Ng has yet to be sentenced. In 2016, Singapore fined a shipping company based in the city state, Chinpo Shipping Company (Private) Ltd, S$180,000 for facilitating a shipment of arms to North Korea in violation of U.N. sanctions. Singapore, the site of an unprecedented summit this year between U.S. President Donald Trump and North Korean leader Kim Jong Un, says it complies with U.N. Security Council resolutions imposed on the North to persuade it to halt its nuclear and ballistic missile program. Singapore suspended trade relations with North Korea in November last year, when the United Nations toughened sanctions over its weapons program.